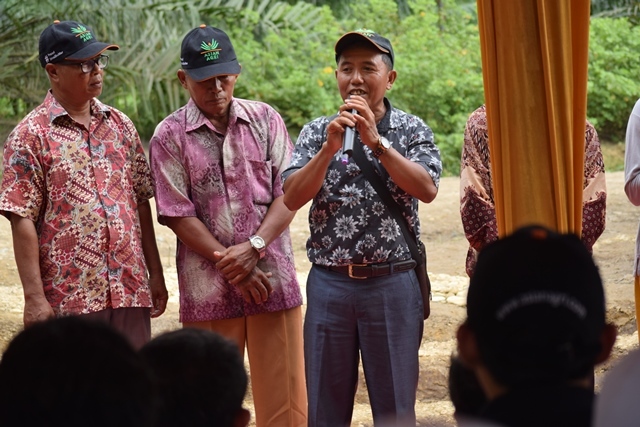 These were the hopeful words of Pawito Saring, Head of the Mulus Rahayu Cooperative, spoken at a 10 Oct 2018 sharing in Delima Jaya Village, Siak Regency, Riau. Deputy of Food and Agriculture Coordination, Indonesian Coordinating Ministry for Economic Affairs, Ir. Musdhalifah Machmud, MT, joins in a discussion with Asian Agri and its partnered smallholders at the 10 Oct event. The event gathered palm oil smallholder members of the cooperative, staff from BRI Bank Pekanbaru, Perkebunan Nusantara V (PTPN V) representatives, officers from the Indonesian Oil Palm Estate Fund Agency, members of the media and Asian Agri staff. Participants exchange views and stories covering a variety of issues surrounding replanting. Deputy for Food and Agriculture Coordination, the Coordinating Ministry of Economic Affairs of the Republic of Indonesia, Ir. Musdhalifah Machmud, MT, graced the event as guest-of-honour. The Mulus Rahayu Cooperative, with its 135 members, had the honour of being the first palm oil smallholders in the country to receive funds for replanting from the Indonesia government in 2016. This was a major milestone for the industry as the tripartite partnership of smallholders, Asian Agri and the government, has delivered mutually beneficial outcomes in sustainable palm oil cultivation. Asian Agri’s careful planning (from as early as 2012) and community-centric approach in engaging smallholders has paid dividends, as the company has helped them be better aligned with its sustainability policies. Under its careful guidance and training, its partnered smallholders have since attained certification. 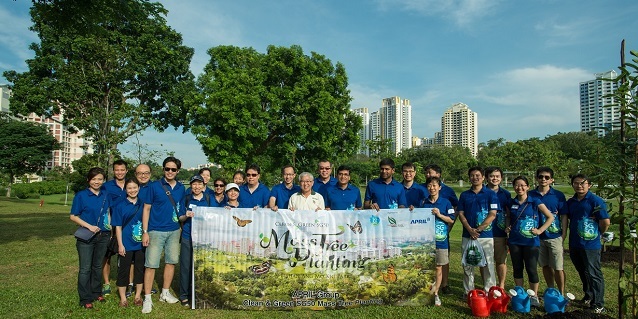 Additionally, the company has built across its smallholder communities greater awareness and capacities in sustainable plantation management, which includes integrated pest management and using mechanical land-clearing methods. Asian Agri has also shared profits from palm oil sales with its RSPO and ISCC-certified smallholders. Breakthroughs in its research and development have been shared with these smallholders too. Partnered smallholders gain access to higher-yielding and more resilient Topaz oil palm seeds. Harvest can now commence just 28 months after planting, as compared to 36 months with ordinary seeds. These efforts are part of Asian Agri’s increased reliance on data and evidence-based approaches to create value in its operations and partnerships. With certification, access to Topaz seeds, and best practices in plantation management, these smallholders experience improved yields and increased income, and also get to play a significant ground-up role in safeguarding the environment. Fresh fruit bunch and crude palm oil yield data point to increased and sustained productivity levels for estates in Negeri Lama Seletan (North Sumatra), Gondai (Riau) and Bahilang (North Sumatra), which planted Asian Agri’s Topaz seeds. These improvements also help alleviate pressure on demand for more land. Asian Agri’s partnered smallholders now account for 96,000 hectares of plantation estates, while the company manages 100,000 hectares. 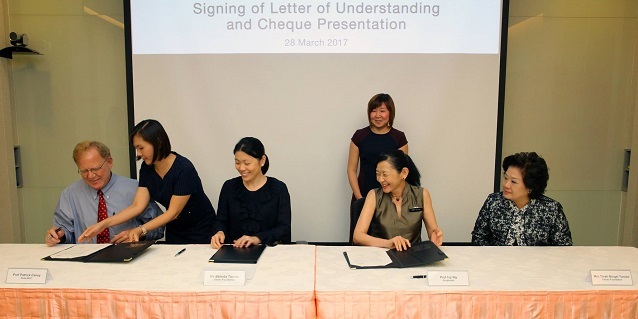 As part of its commitment to intensification, the company is in the process to evaluating and finalising newer smallholder partnerships as it inches closer to its one-to-one smallholder commitment. The end of the 25-year commercial lifespan of the oil palm can bring about a host of anxieties for many palm oil smallholders. There exist many smallholders who lack the funds and capacity to replant. Furthermore, smallholders face the reality of reduced income during the replanting phase, which spans two to three years. Key stakeholders in Indonesia’s palm oil industry have worked closely to address these risks. 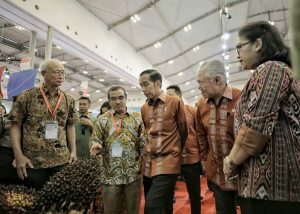 The Indonesian Oil Palm Estate Fund (BPDP-KS) is a public service agency established in mid-2015 that uses palm oil product export levies to boost the palm oil industry and spur productivity. 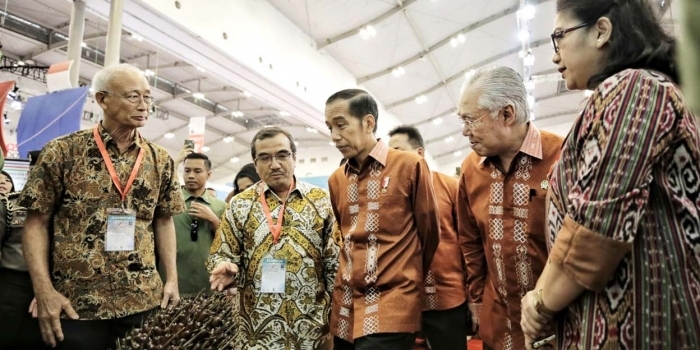 Aside from investing in research and development and supporting biodiesel incentives, the agency supports the replanting process of many smallholders, who manage about 41 percent of oil palm plantation land in the country. With 30 years of community partnerships under its belt, Asian Agri also plays an important role in safeguarding the livelihoods of its partnered smallholders in Riau, Jambi and North Sumatra. It has assisted many in securing bank loans necessary to run their plantations, on top of providing training and equipment to cultivate sustainable agronomic practices. 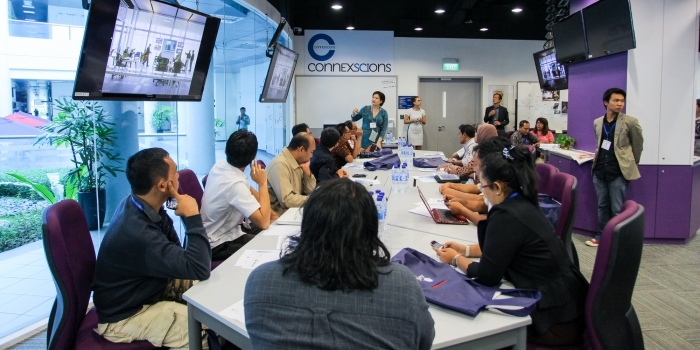 Asian Agri taps on its partnership experiences to develop community- and smallholder-focused programmes complementing these industry-centric approaches. The company has helped its partnered smallholders create new livelihood sources through livestock rearing and fish farming, empowering them with new skills, options and opportunities ahead of the replanting period. In one programme, Asian Agri brought in experts to train and mentor palm oil smallholders in catfish cultivation. Palm oil smallholders remain integral to Indonesia’s push towards sustainability, productivity and creating value-added goods in the industry. Through the likes of Pawito Saring, the empowered are now stepping forward to empower fellow palm oil smallholders with stories of success and stories of hope. Mulus Rahayu Cooperative Head, Pawito Saring, shares a message of success and hope.